Whoever said working with steam locomotives was a glamorous job needs to have a work with me after our teams efforts over the last couple of weeks. Since my last post in November I have working on Canadian Pacific several times but with the main tasks focused around scrapping the dirt off the frames I didnt think it was worth doing an update post on that. 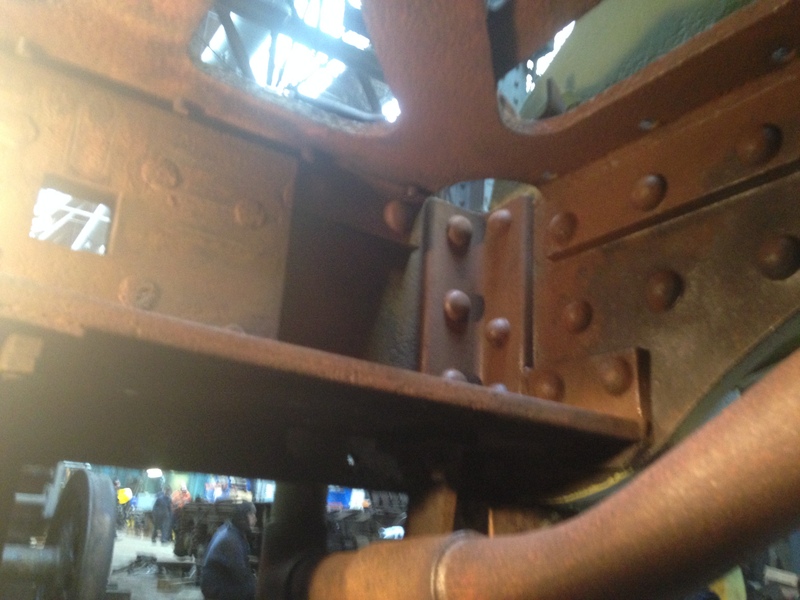 Today was no different with my office being under the frames behind the buffer beam, I was needle gunning the frames in order to prepare it for the return of the front bogie. The last of the big components that need stripping and inspecting are the main driving wheels will prove to be a bit of a challenge. 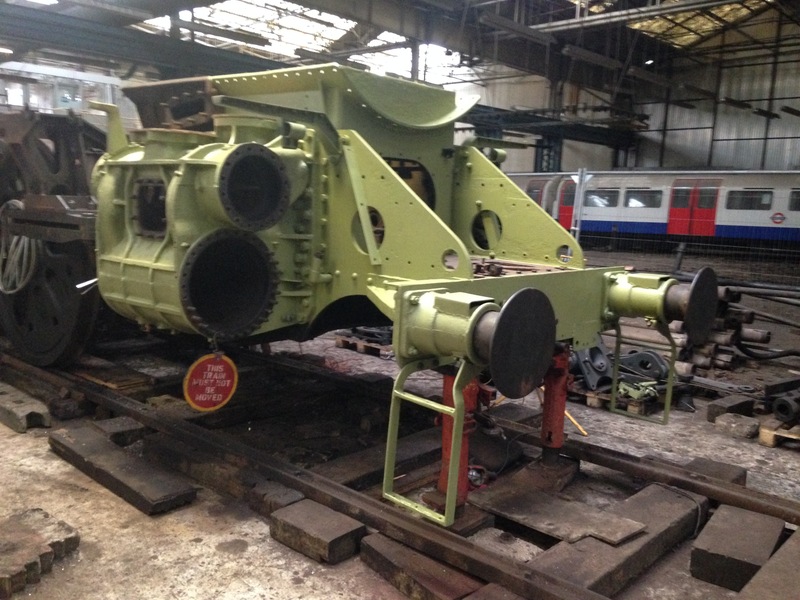 The locomotive is currently not under a crane so will need the front bogie and rear pony reattaching so we can safely stunt the loco forwards under a crane. This means our priority is to clean out the areas of the frames which will be inaccessible once the bogies are attached for the move. 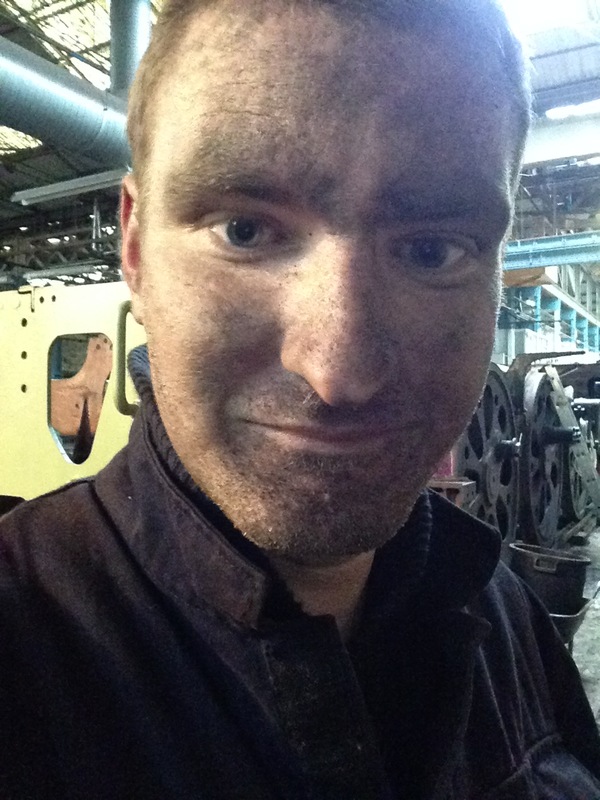 Like most cleaning jobs in the railway world iIt was a very flithy job so after a days needle gunning i was black from head to toe! Whilst I worked on the front of the locomotive other members of the team with slightly more space worked on needle gunning the area where the rear pony will be attached. Work on the beast is progressing nicely with most of the outside front section of the locomotive being needled gun and painted to protect the bare metal. The railway has submitted its stage 2 proposal for its Heritage Lottery Grant and we should find out if we are successful around Easter. 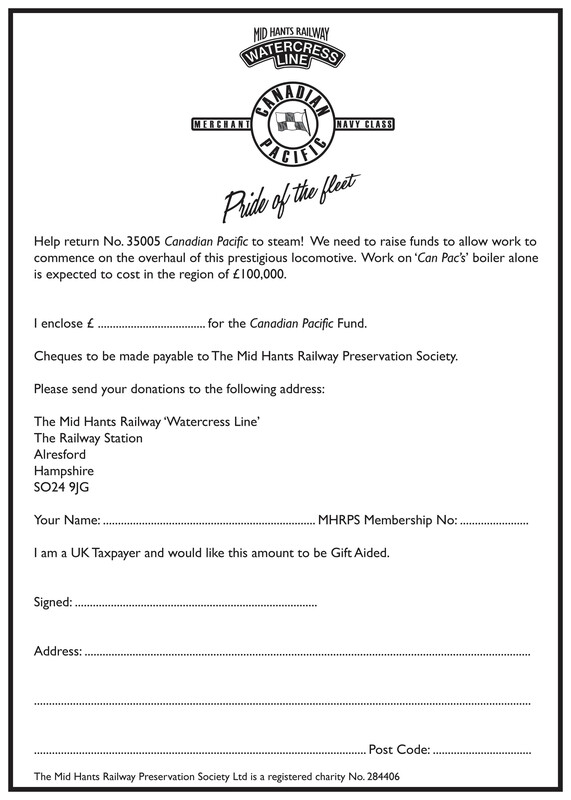 I do pray the bid is successful so we can have lots of young people working on the project (saying young people is odd when I’m only 27 myself) and they can learn and experience the wonders of railway preservation. I know from my own experiences it’s something they will enjoy and hopefully they will catch the railway bug.